A redux of the cancelled mod from August 2016. 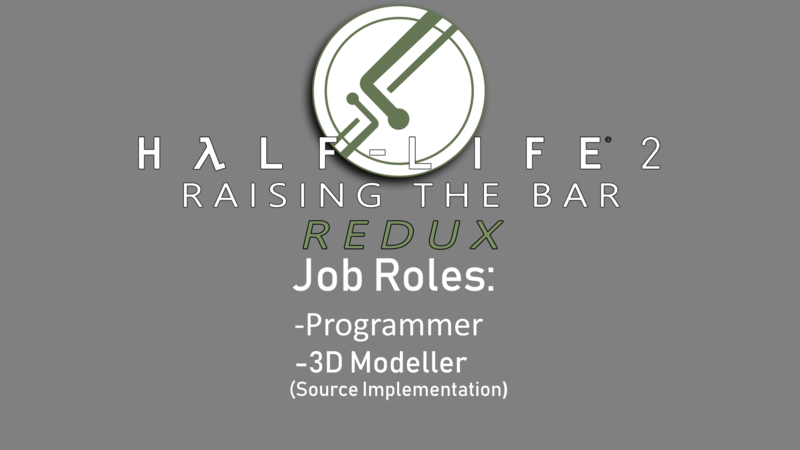 Utilising content from developer repositories and some originally created parts, Half Life 2: Raising the Bar Redux will aim to recreate part of the vision the original developers had for the game, as well as developing our own. 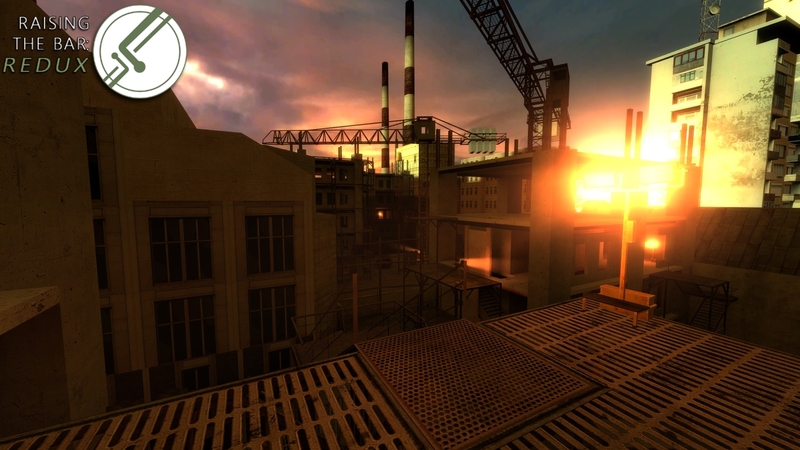 RTB:R centres around a thematic melding of the HL2 Alpha, Beta, and Retail concepts, as well as our own ideas, to create a unique and complete experience. 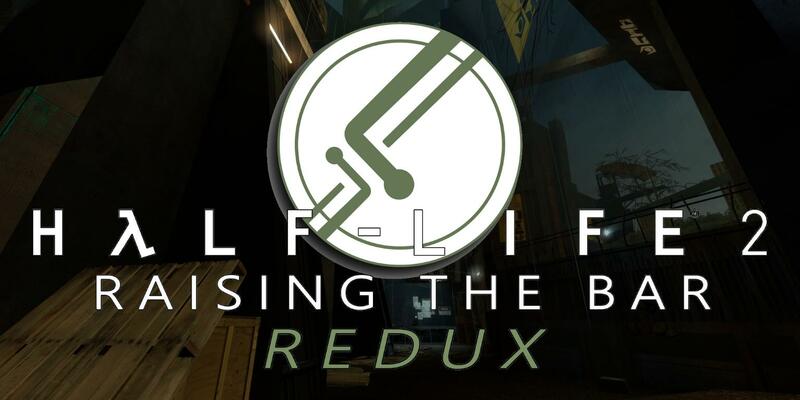 Half Life 2: Raising the Bar REDUX: March 2019 Update, including team updates, some map updates, model updates, and our third volume of music. Hi, everyone. Welcome to our March 2019 update. This update’s less of a full-sized content dump and more of a small update on our activities over the last few months. As we announced in our anniversary update, we’re phasing out the format on ModDB and YouTube and limiting it to teasers, but smaller updates like this one might crop up here or there. Samantha: Hi, everyone. My name’s Samantha Grullon Ferrer. 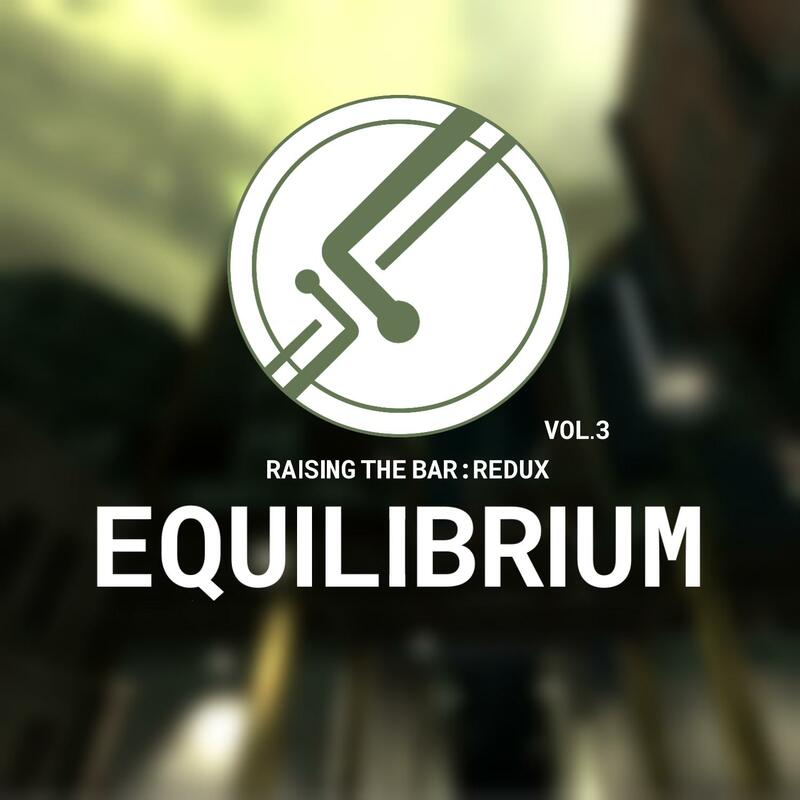 I’ll be voice acting the character of Alyx Vance in Raising the Bar: Redux. 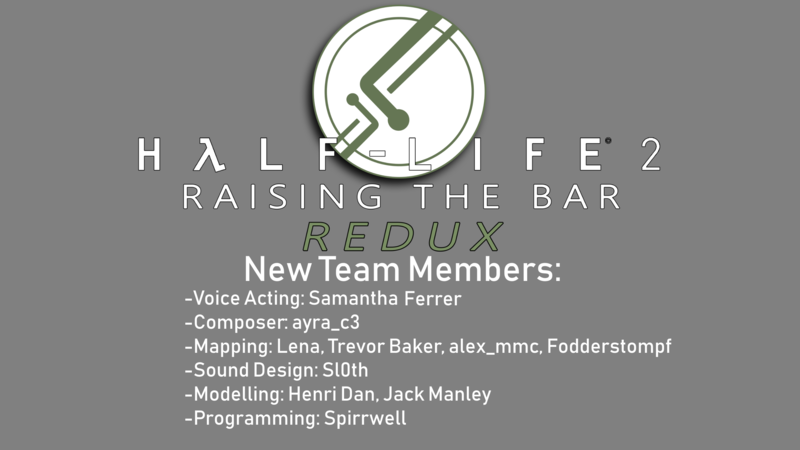 My impression was chosen because it strikes a good middle ground between older versions of her voice and the final product as seen in Half-Life 2, and I’m looking forward to playing Alyx over the course of this project! 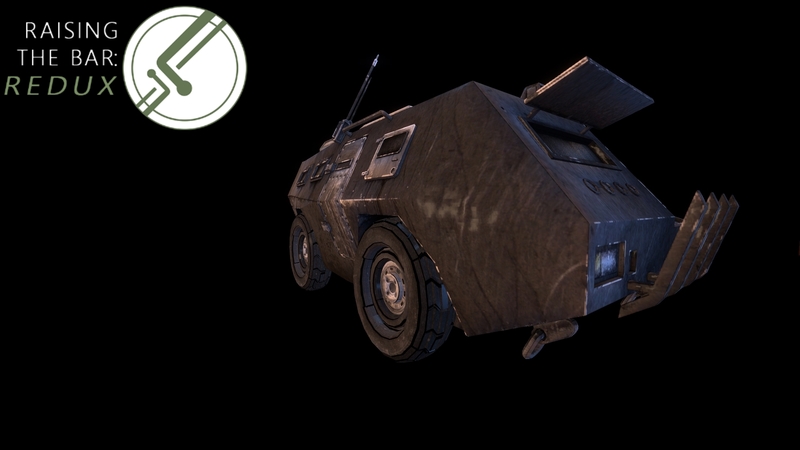 Most of this update will centre around model updates, so, to start off, I’d like to draw some attention to Saatvik’s APC model. 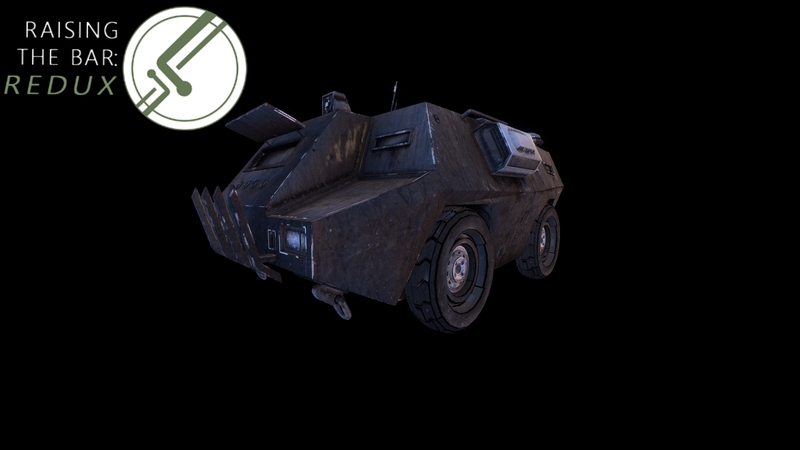 We gave Saatvik the beta APC as a reference and he added lots of additional detail, upping the visual quality of the vehicle and giving a lot of maps the benefit of a good-looking prop for detail. We’ve made breakthroughs in our understanding of phong shading and material settings recently that have allowed us to get closer to the look we want for a lot of our models. More tweaking is done regularly, but the APC has benefitted a lot from these breakthroughs. Fodderstompf: For my revamp of the construction site I took inspiration from real photos of construction sites to add more realistic detail to the environment. I also did a lighting pass and extended the length of some sections to make sure the high points of the map last longer. We on the team love Andy’s poison headcrab design, it being the personal favourite of many here. 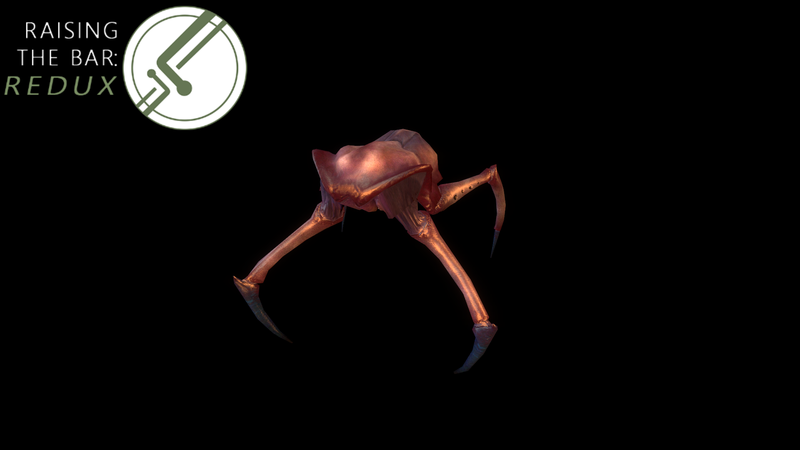 Its foreboding and threatening mandibles are one of the best parts of its design, and Andy has wisely decided to retain their prominence in this alternate skin for the creature. This particular skin is based off of the leak variant, which possessed more reddish hues than the solid black rendition released in retail. 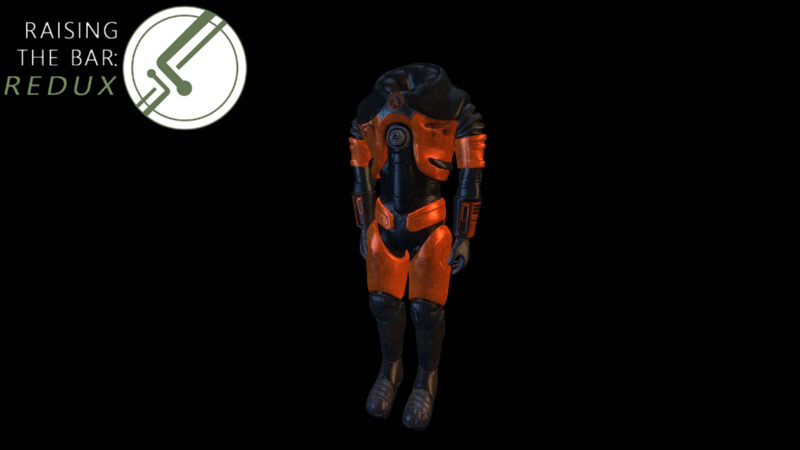 Finally, we’d like to show off one of Andy’s greatest achievements on the mod so far – our new HEV suit model! As you can see, it’s based heavily off the HEV suit concept seen in HL2 pre-release art, though with some of Andy’s signature own ideas. Given there are limited views available for the suit, he filled in the blanks very well, and the details he provided look excellent in-game, too. We’re very pleased to have our own suit that is to our own design and specifications for use with our own viewmodels. Although the full suit will be seen only once, we think it’s important a strong impression is made when it is. If these roles interest you, feel free to add me on Discord at Kralich#0901. Thanks for listening, and we hope to see you in the next update. HEV looks odd.. besides that. Good job! Probably because the waist looks pretty thin, more suited for a woman. The details are pretty good though! Are there plans for the Combine SWAT Van or more importantly, the Ford F-250? Awesome work on the VAB APC! No definitive answer either way. We'd like to but we're not sure how to implement them right now. 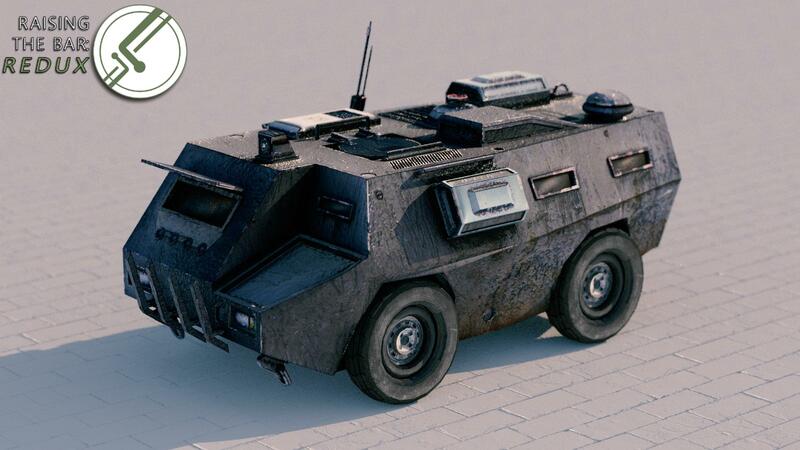 In my own taste, HEV looks pretty good but the one that stands out is the APC. Definitely. Is there gonna be an HEV helmet to go with the suit? Most likely, no - though we have ideas about it, even so. I noticed that last night as I was preparing the in-game shot. It'll be fixed by the next time we show off the poison headcrab, but it would have delayed the update by at least a day and we already had to delay the update because I was horribly ill last weekend. I felt it better to just get the update out and fix it in future. The new design of the HEV suit looks great and the design of those headcrabs look great too. Everything else also looks great so I do not have problems with that. Keep up, you really are doing a very good job. Very good work ! good luck ! As a mapper, the first thing I'm going to comment is the updated Construction Site. IT GOT A LOT BETTER. Already. Let there be more pics from that, please. The morning lighting not only makes sense because passage of time (I take it we arrive at night, like before). It works better on the surfaces, the shapes, easier to see stuff, not nauseating like it was before. So please keep away from that bad contrast of bluish shadows and dark sky and vivid orange lighitng. Aka the former, pre-revamp Construction Site. The other mapping screenshot, well, I can't say it's too impressive strictly on how much of a screenshot it is? That is to say, it's a picture of a corridor. Alright, I guess. The render suffers from blur and noise. If you're showing it, why cover like half of it, in noise pixels. I mean. Make it crisp. Or at least just a straight image. I'd make the phong exponent lower and boost higher? Because high exponent looks more plastic-y. And with those settings, the in-game shots make it look almost more like leather. Also, the tires appear almost cel-shaded because of their black lines. Other than that, well, it is a step up from what we saw before. The headcrabs. Maybe I'm growing more accustomed but also they're becoming more and more appropriate, but I'd say there's still work to be done. 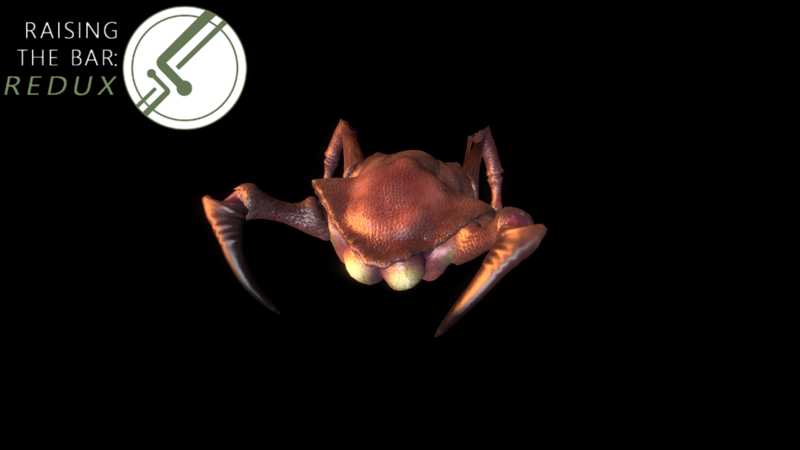 One thing I'd look into is how you approach colour blending on the fast headcrab. It's claws are bluish and they're immediately separated from neighbouring colour, the pink of the leg; that's good; compare to the classic headcrab whose claws are darker and there's a pronounced border between the dark claw and the lighter skin. But its skin itself is more granular, and even though it's lowres by today's standards, it's still a well defined texture of a creature's skin. Compare that with yours. 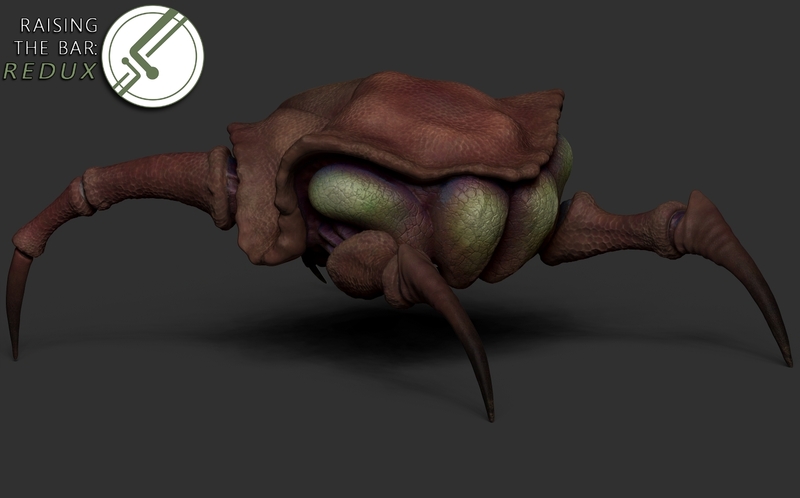 Its carapace is more blending together of colours, with no borders between the zones, the darker pink is blending into lighter pink and there's some darkening, so even though the texture is higher res, it looks more like a blurred blob of flesh. Maybe that's what you're going for anyway, but I'd suggest maybe making the colour zones separate more, with some granularity to the borders of each zone. Same with the venomous bulbous things on the poison version. The violet rim of the bulb is evenly blended into the yellow sack, instead of any granularity or some other patterned edge. Basically, you know what blend modulate textures are to displacements? when the blending of two basetextures is masked by another texture. Used in Ep2, in antlion caves. That's the idea. (you can't use it in models but I mean how you approach drawing your creature textures altogether). It's $blendmodulatetexture, look it up. The anatomy is kinda weird. The shoulders are too far apart and even then they're extended outwards and downward with those um... flexible parts. What looks like Bender's arms, from Futurama. If you push the shoulder area together, make it more narrow, it would get a whole lot more believeable, that there can be a normal human inside of it and be able to operate his limbs. The hips, on the contrary, are a bit too narrow for a healthy body? It's like he wouldn't have any hip bone, the legs just grow straight outta the lower torso. But then the thighs are thick again. Just look at the original; it's more tightly packed together yet it's still anatomical. There's no "armpit arch" (it gets really uncomfortable if you mentally strip it of the armour and material thickness and imagine human skeleton pressed inside of it). And the upper chest/clavicles/shoulder/neck part doesn't bulk over the rest of it. 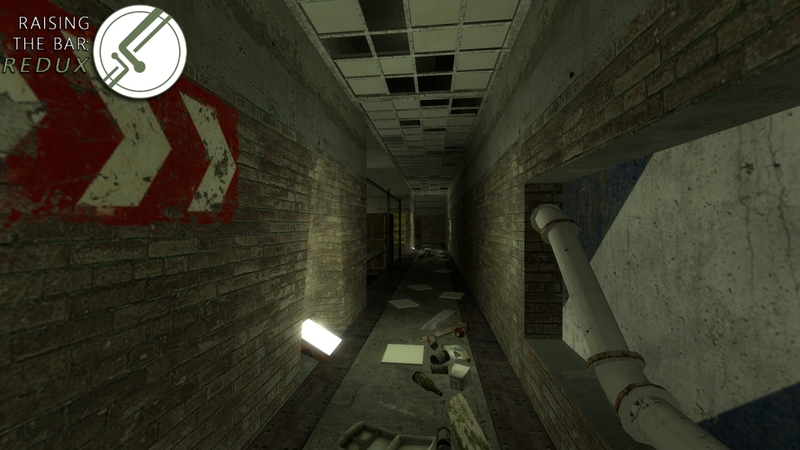 Yours kinda look more like HL1 version, which is inherently semi-cartoonish. It's not as weird as that one HL1 promo concept with Gordon holding a shotgun, where he got ULTRA slim stomach and none of his joints can bend, but. It's just kinda uncanny and toy-looking. The most fine part of it are the forearms, the boots... the orange+black combo is alright if you're going for that older reddish style. I guess since it's not a third person game and we won't see it on a person, it could work anyway, but still. Wanted to voice my suggestions. the H.E.V suit legs looks a little bland maybe a bit more detail on the shins. construction site 2 could use some more lighting. 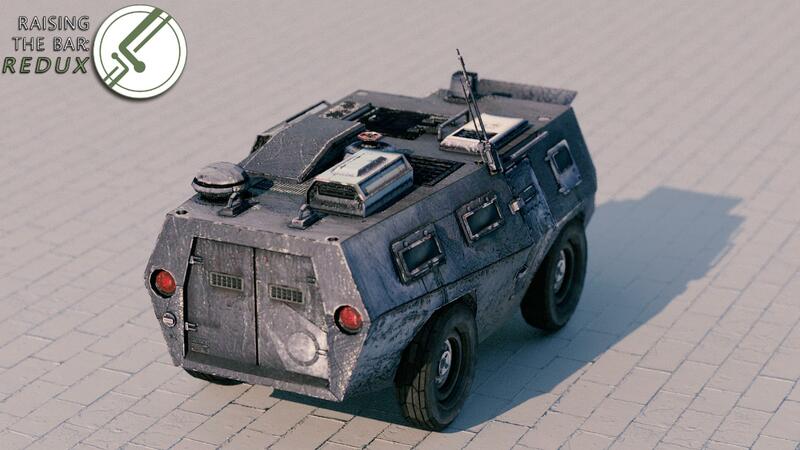 the APC looks amazing though, defiantly very beta combine looking. Idk about the colour scheme for the headcrabs. they seem...off...like they don't fit the headcrab species. The HEV looks very sci-fi but the top looks a bit too bulky. the apc and new maps, however, look pretty good. 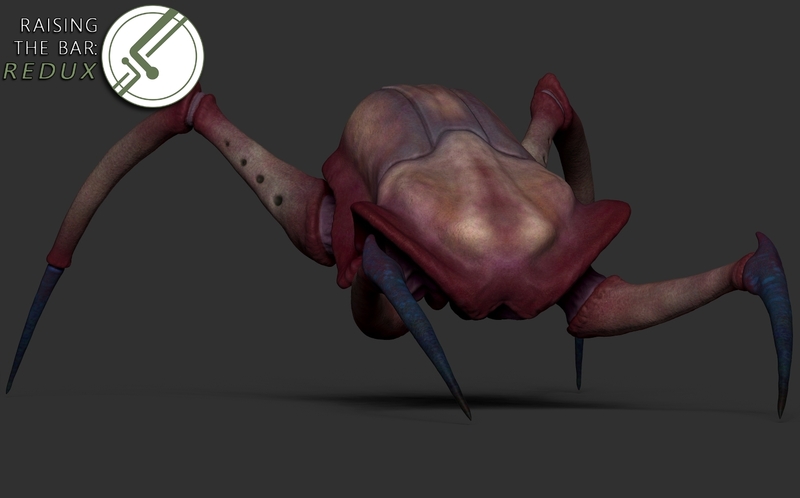 The Poison Headcrab looks kinda like a gonarch but good job on the models. The HEV suit... Interesting. I kinda like it. Some parts of it remind me of Mass Effect. 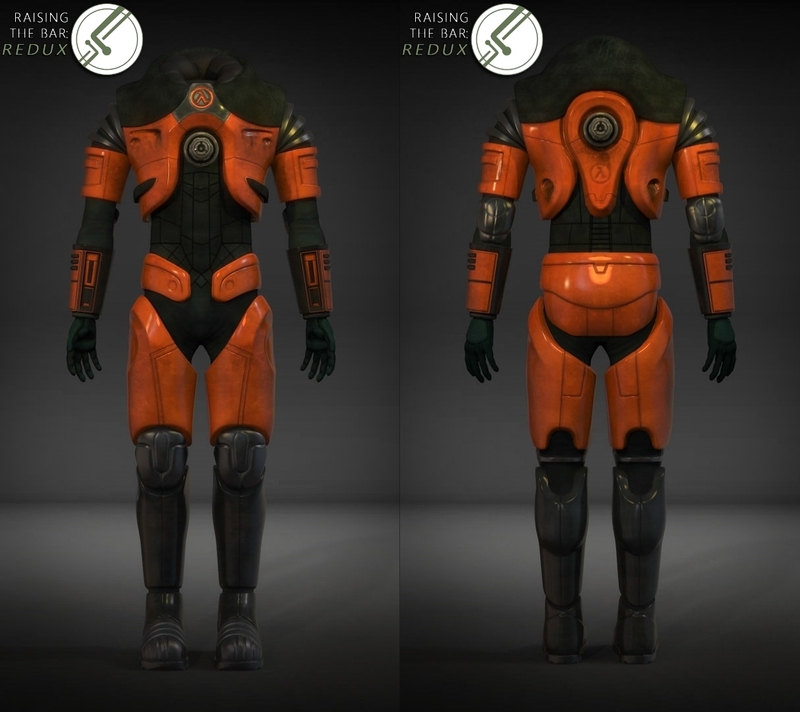 Interesting take on the HEV suit, I like the longer boots / leg portion. The HEV looks like a dream come true. One quick question, will we have the option to choose the red HEV viewmodels?